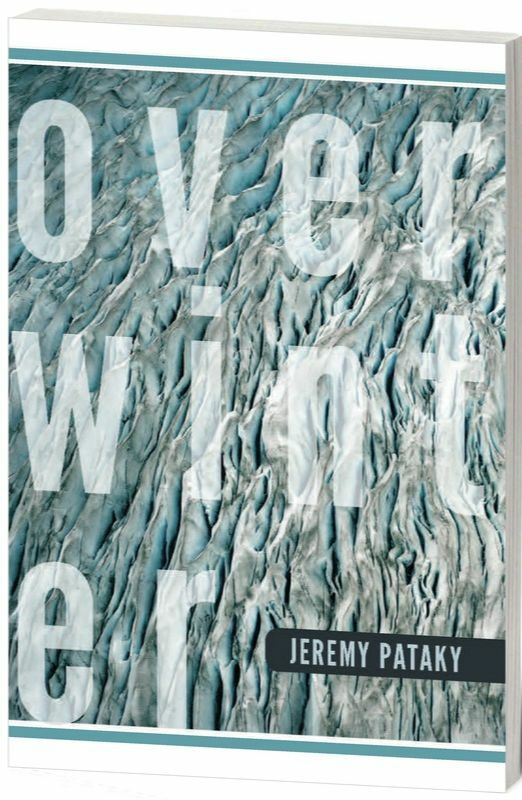 Jeremy Pataky's debut, Overwinter, is a collection with great scope. The poet is an Alaskan resident and a graduate of the MFA program at the University of Montana, and the influence of the frontier and the allure of Pataky's home run rampant throughout the book. Even the cover, an aerial photo of the Taku Glacier, sets a wild and epic scene. Freed from the constraints of the mainland, Pataky is able to dissect his subjects more carefully, using the land around him as a reference point for the smaller dramas that fill each passing year. Cycling through seasons, water passing from ice to flood, these poems lead us between passion and reason; between the fluidity of time and the immediacy of our present reality; and toward an understanding of how all of these manipulate our perceptions, creating illusions and miracles against the shimmering background of an untamed landscape. and lack. The trees don't line up. Through reflection on a quote from Nigel Peake, Pataky brings us into nature's immense physical and temporal scale, where “The land is made of glacial flour.” This is a feat that cannot be underestimated. Alaska as a setting, whether on the frontier or in town, is one that Pataky gradually introduces from the first poem. After the opening of “Five Parts” comes the first-person plural of “Manual Labor in the Era of Delinquent Weather” and “We Were Explorers Once.” In this initial section, Pataky does not sacrifice truth for nostalgia or aesthetic beauty. There is a danger of forgetting the solitude and sacrifice of living on society's edge, but Pataky does well to remember these truths. In “Then to Now," we see the pull between others and self: “I regret nothing but encounters with you / because I left my last family members / for landscapes." Later, in the same poem: “we ate the most recent meal in ten thousand meals.” The “we” is now comprised of our speaker and the “you” previously addressed. How one interprets the tone does little to diminish the weight of the line—it speaks to time and presence in the current moment, the preciousness of what is shared and that which cannot be shared. Here, we are also introduced to the disconnect of perception; because even if one meal is set out between two people, are you enjoying the same meal from two different sides of the table? The speaker later states that, “I come from those who trim unseemly branches, / who edit for horizons, lake views.” Recognizing the individual's power in altering what they perceive, or that reality can be altered at all, leaves us exposed to delusion and mirage; in this way, Pataky's words help us to transcend the landscape as simply a frame through which we view our lives and relationships. in the river's last flood? The relationship between the speaker and the “you” is like that of water running down a mountain. Water imagery is attached to the "you," suggesting fluidity and a promise of change with rotating seasons. Pataky's poetry is most potent when rooted in specificity, when his details gesture towards significance; because against a backdrop so vast, one cannot be drawn to the minutiae unless they themselves are significant. It is upon these details that Pataky builds his drama. When the speaker states, “I have put on a necktie for you / I dedicate this perfect double Windsor knot to you,” pride accompanies any deference one might interpret there. The speaker resides at a point between these two qualities, referring to “devout blindness” and stating in the concluding stanza, “We are projectionists of private myths. / This habit of looking beyond you when I speak to you.” The interiority of both individuals are incompatible, and the disillusioned speaker approaches the notion that the physical world might also be illusion. “Fata Morgana” comprises the entirety of Overwinter's third section and serves as a hinge upon which the collection's structure, narrative, and theme turn. It is in this poem that the speaker shifts away from Alaska to dwell instead on a specific memory that is not even the speaker's own: “My eyes on you try to be my eyes in you.” A burial is re-imagined, far from the land of ice and rain, where the “you” is “clutching sand, clutching clay.” The speaker delves into the nature of the relationship with “you” and, transitively, investigates how human relationships are irreversibly influenced by their context. The intellect that impressed itself upon this section is something readers might struggle with. Here, I feel the poet influencing the speaker the most, in that I am not entirely invested in what is presented. Upon subsequent reads, I found myself far more in-line with what I believe is the poet's intention, and I admit that my personal biases were not catered to: first, longer poems; and second, highly intellectualized content. However—the inevitable however—I see here a departure from the rest of the collection, and I feel more could have been done to transition the reader into the overarching narrative throughout this middle section. That which is inaccessible and that which is intimate are divided by a fine line, and I've noticed that writers often err to accessibility only to lose something more. I appreciate the earnestness with which Pataky approaches his work, and as a standalone chapbook, I believe that I would have greater appreciation for “Fata Morgana.” But as it stands, surrounded by brilliance on either side, this pivotal middle section does not carry as much weight as the poet might have hoped. But there is an immensity undertaken in this third section, and there are flashes of clarity. There is ambition. Pataky's poems continue to draw strength from the details in "Fata Morgana" and beyond, recalling “scintillant citrus light / on the table by a wine refraction,” or a search for “our names / markered onto dollar bills and thumbtacked to the ceiling." In the ensuing sections, the vibrancy returns, the poems begin to root themselves more concretely, and the speaker's relationship with the “you” deteriorates. But Overwinter concludes strongly. Two of the strongest poems of the collection—“How the Mistress, Distressed, Insinuated Herself Into Place” and “The Wild Dead”—arrive with the same insight and intimacy that so enticed me in the collection's opening sections. Take these lines, which evoke the inevitability of the seasons and our own individual endings: “Snow burial repealed a summer set on decomposition, / then autumn built itself / on the bones of unraveled bodies.” It is with great power and intention that Overwinter delivers us to the edge of the natural world, where it seems there is nothing left to deceive us but ourselves, and where all is inhabited with strange and inexplicable beauty that we might perceive, if we are willing. Pataky has shaped this wilderness into something that resonates well beyond Alaska state lines: a collection that warrants multiple reads, fresh and vibrant as a river in spring, and one worth reading in any season. Overwinter. By Jeremy Pataky. University of Alaska Press, 2015.